Kirtan takes place during the season in Malaga alternating between the Citycenter, the province and my place in El Palo at my Homestay or the Beach. Please find the current dates for the dates at my place on the calender and all events with details in Facebook. There is as well a fb event always up to date with all the activities for the season 2019 in Málaga. In Winter I am travelling in Germany and Asia, you will find the dates and places as well on this page. 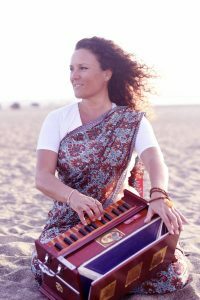 Additional I offer Voice-Opening & Mantra Singing workshops, private singing lessons and Kirtan in German or Spanisch. Drop me a message if you like me to come to your place and share the beauty of Mantras. January / February 2019, Yoga & Mantras at Pure Nature Ayurveda House, Bentota in Sri Lanka. What is Mantra Singing & Kirtan?